Norway’s scenic railway journeys are among the country’s main highlights, so its a wonder why you would want to travel any other way. However Norway’s bus routes are far more extensive than its rail network and if you’re heading up north it is likely that you may find the bus your best travel option. NOR-WAY Bussekspress operates a nationwide bus and coach network, although the individual bus and coach routes are run by a network of smaller companies and NOR-WAY Bussekspress is more of a marketing company that links the smaller bus companies together to form a national network with an integrated ticketing system. 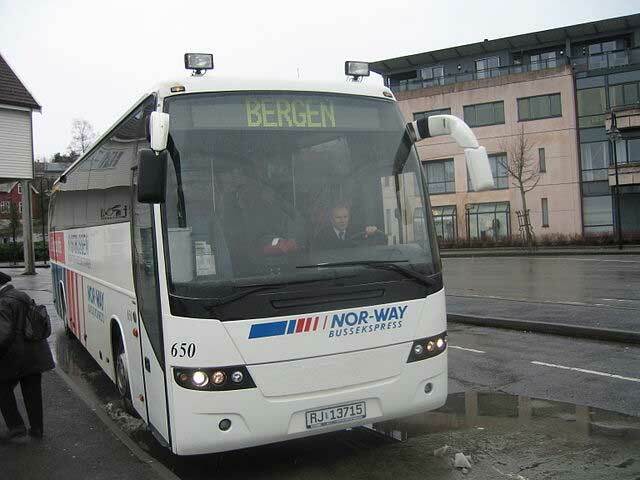 NOR-WAY Bussekspress operates throughout the country extending well into the Artic Circle providing connections with intersecting bus routes and other forms of transport including trains and ferries. Other bus companies include JVB which operate an East-West express service between Bergen and Lillehammer and Narvik based Cominor with its route network in Lappland. There are international bus services to northern Finland, Gothenburg and Stockholm in Sweden and Murmansk in Russia.